It’s that time of year again, we’re rounding the corner into fall and I couldn’t be happier! Cooler brisk weather, changing tree colors, pumpkin spice lattes. That last part is yet another one of my addictions. Pumpkin spice, oh how I love you! I count down the days until the PSL makes its fall debut at Starbucks and then proceed to spend way way too much money on such a simple pleasure. This fall season, I’m trying to live within our means and not blow our entire discretionary fund on Starbucks. 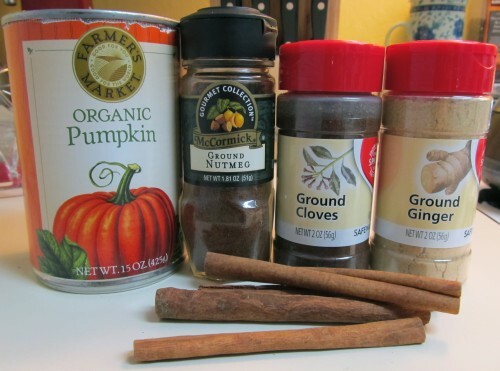 So, I thought I would would try my hand at making my own pumpkin spice syrup! Thanks to my slight ridiculous addiction to Pinterest, I was able to quickly find a recipe that seemed entirely foolproof. I’m happy to announce that it was indeed pretty simple and boy oh boy…it’s pretty amazing! 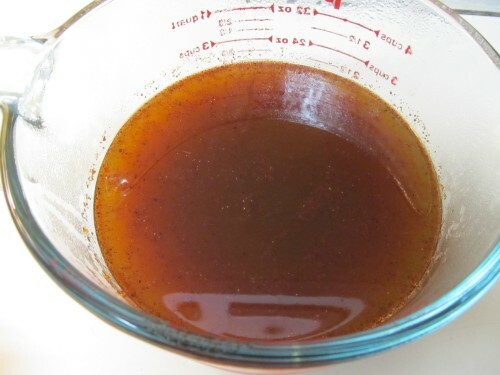 The ingredients are really quite simple and most people will have the majority of them in their pantry. I, however, am still building up my spice cabinet so I had to run to our local and eclectic Safeway to grab a few items. 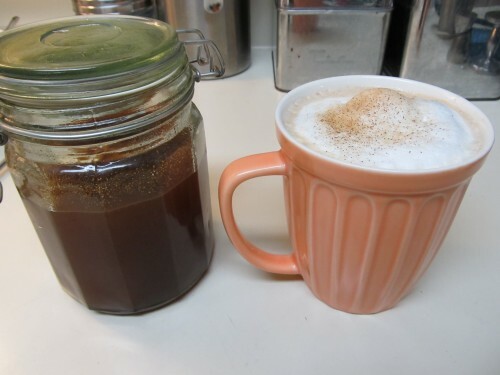 Enjoy 1-2 tablespoons with your favorite brewed coffee. 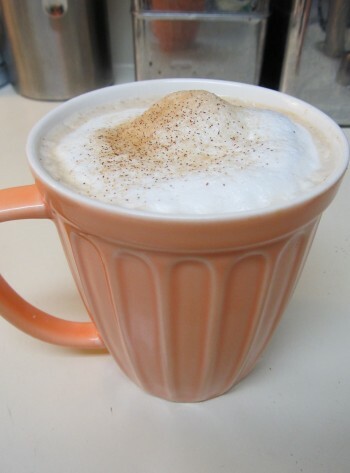 Or if you’re fancy pants- enjoy with a homemade latte! I dusted off the ol’ Barista machine and steamed some milk and pulled a few shots. Boy, I sure do miss my barista days at the bux (minus the smelling like milk and chai syrup all the time…I don’t miss that). I finished it off with a sprinkle of cinnamon/sugar and the final product was simply delicious! If you noticed above, there were two ingredients with a * next to them. In my next batch, I’ll adjust these by possibly omitting the ginger and definitely increasing the pumpkin for more pumpkiny goodness. I say, make it once and then tweak it to make it your own. This batch is great, but there is always room for improvement. I’m definitely not brand loyal when it comes to certain things like spices…especially when the Safeway brand of ground ginger is half the price of McCormick! 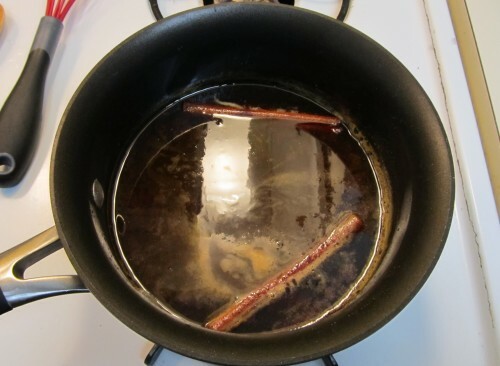 It’s really important to strain the grainy spices out of the syrup. Prior to this I ran it through a double layer of cheese cloth, but it didn’t seem to catch as much as I would have liked. Why is there a rubber band around the measuring cup, you might ask? Because I tried to strain the mixture through a coffee filter before I remembered that I had a fine mesh strainer. 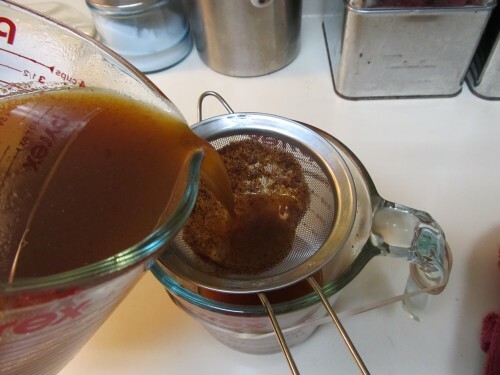 Don’t try the coffee filter trick…it doesn’t work! The syrup just sits there because it’s half sugar and too thick to filter through. Great idea, but not the outcome I was hoping for! haha… And here’s my finished product!! Enough pumpkin spice syrup to last me a week or two (maybe even longer if I stretch it…hah, unlikely).